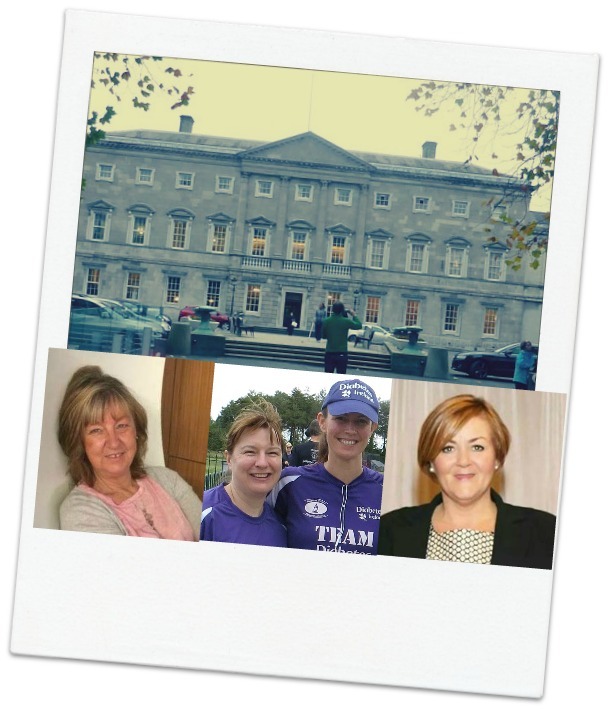 On Wednesday 22 June in Leinster House, Diabetes Ireland is briefing TDs and Senators on current diabetes services and what future services are required to support the diabetes community nationally in the coming years. Myself, Rebecca Flanagan, Davina Lyon & Elizabeth Murphy have been invited to attend this event with both Rebecca, a parent of a child with type 1 diabetes, & Davina, an adult with type 1 diabetes, making personal statements. Next week I hope to fill you all in on how it went. If you are reading this post early on the 21st and have a couple of minutes we would very much appreciated it if you would email your local TDs and ask them to represent you or your family member at this briefing. You can find email addresses for all of them here; Who is my TD? Speakers will include Dr Nuala Murphy, Consultant Paediatric Endocrinologist and National Clinical Lead in Paediatric Diabetes, Dr Ronan Canavan, Consultant Endocrinologist, National Clinical Lead in Adult Diabetes and our four patient representatives. On a completely different note - We want to hear your stories! Over a number of months we have been featuring your diabetes stories. And you have all been fantastic! We would love to hear from more of you. Are you a diabetes veteran but new to the Irish Diabetes Online Community? Have you raised a child with diabetes who is now an adult? Are you a young adult still getting use to doing it without your parents? Basically, if you have something you want to say or a story to tell - we want to hear it.